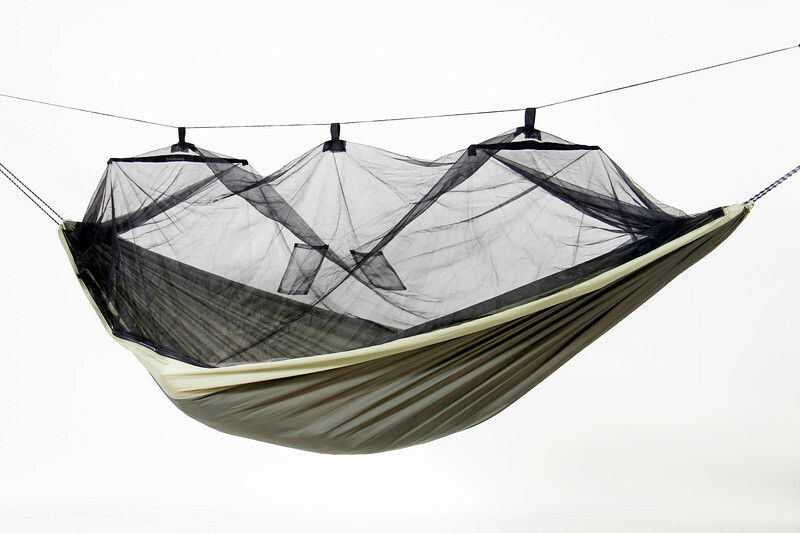 The Byer of Maine Moskito Kakoon Travel Hammock, with a new hanging system, flexible fiberglass rods for the netting, and double-fold triple stitching, makes a stronger, more durable and more effective way to keep insects from spoiling a good night’s rest. The Moskito Kakoon features a standard integral hanging rope for easy setup. The narrow panel construction is of lightweight parachute nylon for comfort, with storage pockets for essentials, like a flashlight, keys, or anything else you may need on the trail.There are also strong elastic tabs for the support guy line. 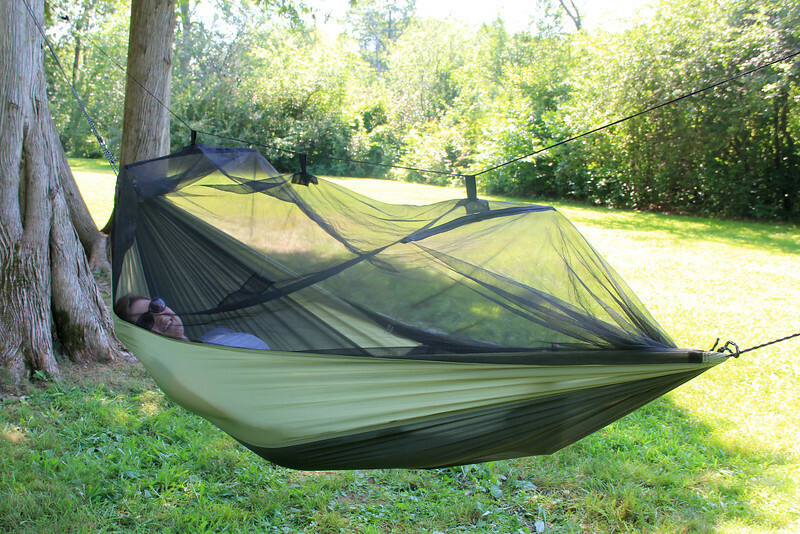 If the protective net is not needed for insect protection, simply turn the hammock over and enjoy the Moskito as a regular travel hammock. It's a 2-for-1 hammock! The Moskito Kakoon is 108 inches long by 54 inches wide, and it weighs just 16 ounces without the hanging system. It's perfect for tucking in a backpack. Pair the Moskito with the MicroRope for a light weight camping solution, the rope fits right in the hammock's storage pocket! *Hammock Dimensions: 54" x 108"